There is nothing better than when your wedding images tell a story of the day and Ohio Wedding Photographer NICOLE CLAREY has done this beautifully in this stunning Hindu ceremony of Hannah & Akash's. There are so many small details to look over in the images which tell of tradition, honour and love so make sure you really look through this one... I promise you'll get lost in the story! Aren't the colours incredible? 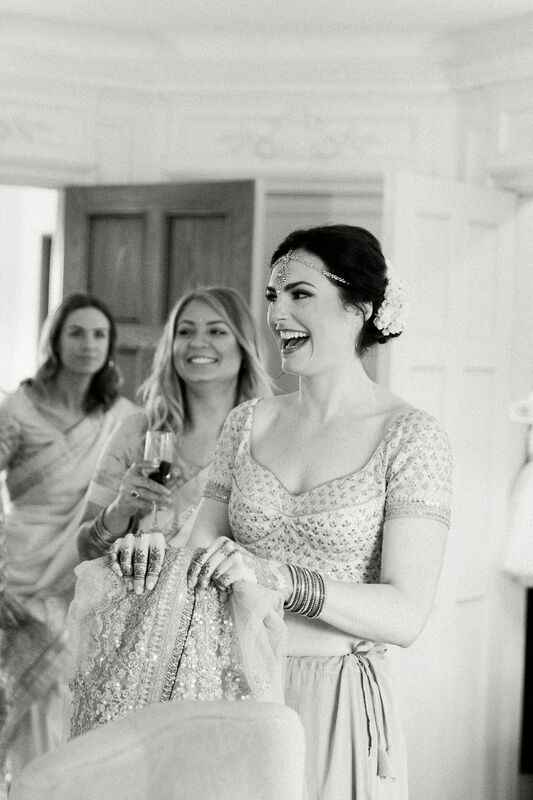 Hannah & Akash wanted their wedding to be a marriage of both cultures whilst still feeling romantic and lush. 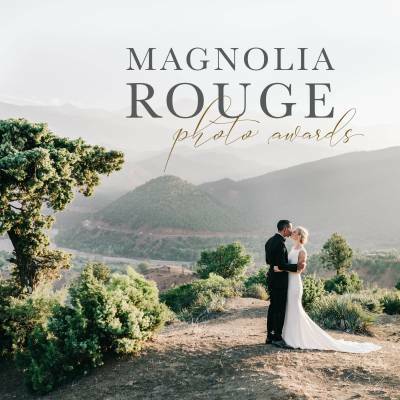 They chose PINECROFT MANSION as it allowed them to have the Indian ceremony in the morning, host an Indian lunch, shower while their guests went home to change and rest, and then start again with the Christian ceremony and reception! Hannah tells us, "The mansion is warm, rustic and beautiful. And serendipitously the tent that the reception is hosted in is built on the mansion's original tennis court - Akash played tennis all the way through college so it was perfect that he got to celebrate his wedding on a court!" HOW DID YOU MEET? Akash and I were best friends at Boston College, but it wasn't until about a year after graduation when we were living states away from one another that our relationship turned romantic I already knew he was one of the best people I had ever known, and once we started dating that was proven true all over again. TELL US ABOUT YOUR PROPOSAL: Akash was living in DC when we first started dating. We hadn't been back since he had moved and he suggested we take a visit back to where it all began. When we first arrived at our hotel, he handed me a video of a collection of pictures together set to the song he first kissed me to. While I was watching, he dropped down to one knee and asked me to marry him! Crying, I screamed yes and hugged him but he immediately jumped up and hopped on the phone claiming he scheduled a champagne service. There was a knock on the door, and the people carrying the champagne in were his parents from Connecticut, my parents from Ohio, and my sister from New York all there as a surprise to celebrate with us during the weekend! TELL US ABOUT FINDING YOUR WEDDING DRESS: Conveniently, a few weeks after we got engaged we had a long planned trip to India. While we were there, before we had made any other decisions about our wedding, we picked out all of the clothes for the Indian wedding. 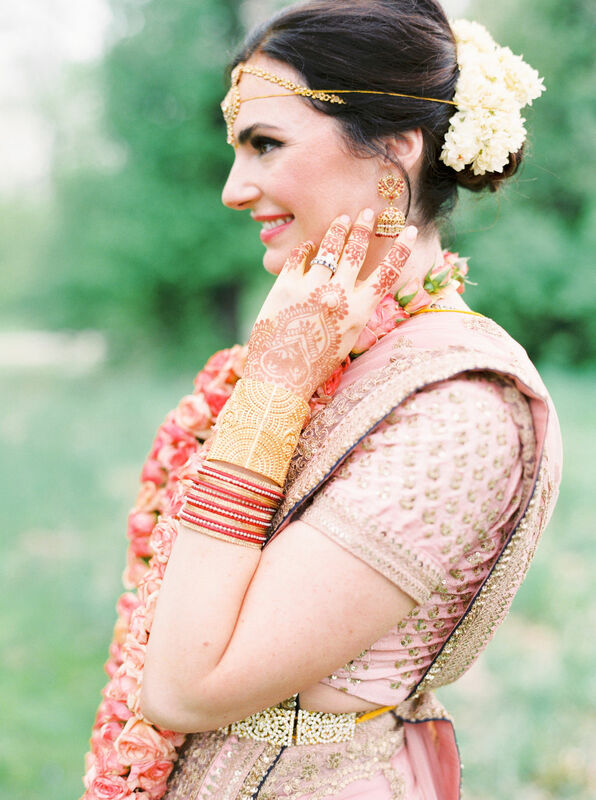 Akash is South Indian and traditionally brides wear a heavy silk red or gold sari. I decided to pick a more modern design with my peach net sari with beautiful gold embroidery. For our Christian ceremony, I chose a simple Amsale gown with an elaborate Lela Rose veil with cascading appliqued flowers. 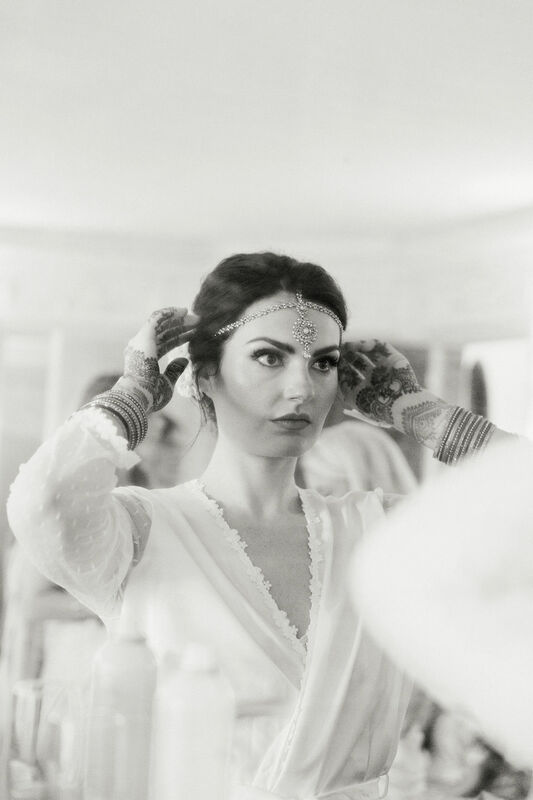 For the reception, I bustled my Amsale and changed into a layering of Indian jewelry from Akash's mother, grandmother and great grandmother as a blend of both cultures..
DID YOU HAVE ANY DIY ELEMENTS? We put together welcome baskets that had drinks, a health baggie and snacks including homemade masala cashew nuts for all of our out of town guests. 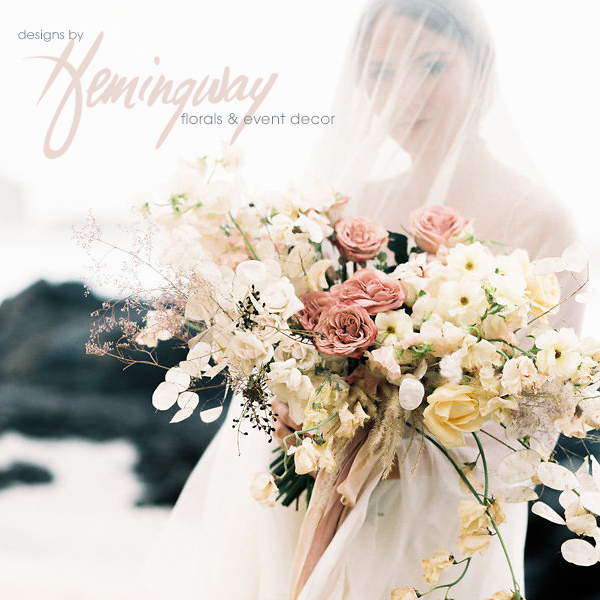 DESCRIBE YOUR WEDDING FLOWERS: The colours in our wedding flowers were inspired by the pastels in our Indian ceremony clothing with lush petals from peonies, ranunculus, garden roses and a pop of contrast with anemones. The reception had a beautiful greenery installation with chandeliers over the head table as a focal piece in the tent. 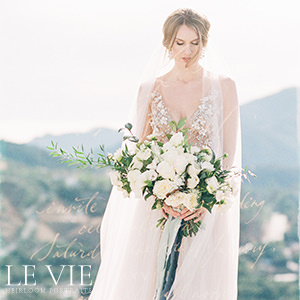 The overall effect was lavish and romantic without being too formal. FAVOURITE DETAIL OF THE DAY: Designing our wedding stationery with Kristen from POEME was a huge part of our design direction. We took a South Indian design of a Rangoli made of interlocking hearts and used that motif throughout the invitations, menus, programs, table numbers, and more. She also developed a monogram of an A and a H that was a unifying design that showed up in the stationary, on our beautiful cake, and even hidden in the henna on my hands. WHAT ADVICE WOULD YOU GIVE OUT TO A COUPLE PLANNING THEIR WEDDING? I had so much fun throughout the entire planning process. I think I would tell any couple that if a situation or detail is no longer fun, then skip it! A wedding has so many opportunities for stress, but it all depends where you focus your energy. 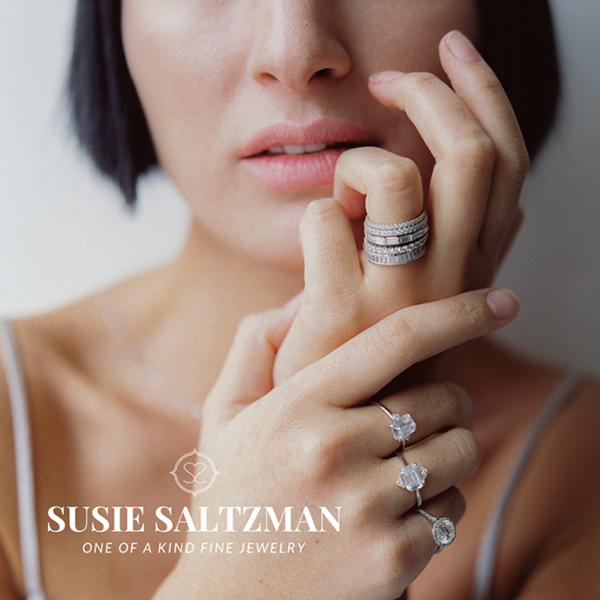 It is only one day, and it should be a celebration of your love! MOST MEMORABLE MOMENT? Getting through two ceremonies in one day truly was a marathon, so much that we almost forgot we got to celebrate at a party at the end of it! When Akash and I walked into that tent, took our first dance as husband and wife, and then turned around to see all of our favourite people together smiling and cheering back at us we were both overcome with so much love. There is no doubt that that night we were the two most loved people in the world! We worked hard for that reception- after the double ceremony day we were more than ready to celebrate all night long. ANY OTHER DETAILS THAT HELP TELL THE STORY OF YOUR DAY? I wanted a live band, but my husband wanted a DJ. We forwent the live band but as a surprise and a way to still have a performance element, we had Indian dancers start the party. It was so fun and from the moment the dance floor opened until the very last minute of the night, the dance floor was packed and lively. TELL US A LITTLE ABOUT YOUR HONEYMOON: The day after our wedding Akash and I took a quick trip to Austin, Texas to relax and get away alone for a few days. In August we took a trip to Rome, Florence and Portofino. Delaying our big trip prolonged our wedding celebration and fun! IS THERE ANYTHING YOU WOULD CHANGE OR DO DIFFERENTLY? We took a gamble having our wedding outside on an early May day in the Midwest. We used the Indian mandap again as an alter for the next ceremony. Although the week leading up to the wedding said only 10% of rain, during the Christian ceremony it started to rain- not terribly hard but just enough to be annoying. We decided to go for it and have the ceremony as is. You can plan every detail perfectly leading up to your wedding day, but things will inevitably go wrong. If I could do it over again, I would just try and make peace with that before heading into the big day. A big thank you to Ohio Wedding Photographer NICOLE CLAREY for sharing this truly special celebration with us. Nicole is a fine art wedding photographer currently living in Dayton, Ohio. As a military wife, she is constantly moving and traveling to new places, but California will always be home and her source of inspiration. 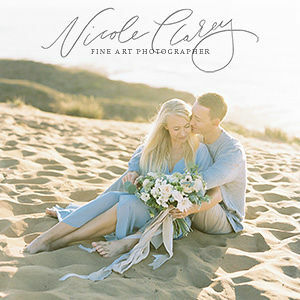 With a Masters in Visual Arts from California State University, Northridge, Nicole has dedicated her life to the practice of photography and preserving real moments of love and life. You can see more of her portfolio in the MAGNOLIA ROUGE VENDOR GUIDE here.